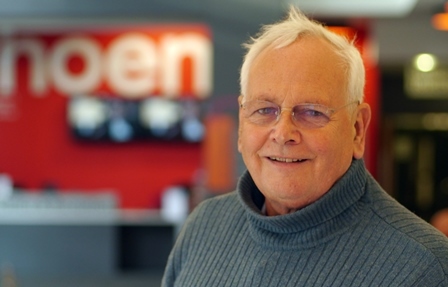 Twenty years on from an influential education paper, a conference is set to consider what happened to our vision of a learning society, writes Professor Sir Alan Tuckett. "To achieve stable and sustainable growth, we will need a well-educated, well-equipped and adaptable labour force. To cope with rapid change we must ensure that people can return to learning throughout their lives. We cannot rely on a small elite: we will need the creativity, enterprise and scholarship of all our people." "Learning enables people to play a full part in their community and consequently the nation. It helps us fulfil our potential and opens doors to a love of music, art and literature. That is why we value learning for its own sake and are encouraging adults to enter and re-enter learning at every points of their lives as parents, at work and as citizens." The event is sponsored by The Learning and Work Institute, The Education and Training Foundation, HOLEX and the Universities Association for Lifelong Learning. The conference opens with a video interview with Lord Blunkett; a keynote address from John Field, with responses from Andy Westwood and Lorna Unwin. Innovation, innovation, innovation – ILAs, NHSU, Learning cities, led by Alastair Thomson and Ian Nash. And Community learning, led by Martin Yarnit and Jo Cain. Two parallel panels follow. The first, exploring Skills for Life and its legacy has Susan Pember, Lyn Tett and Vicky Duckworth as panellists. The second, looking at perspectives from Scotland Wales and Northern Ireland has Jim Gallacher, Paul Nolan and Rob Humphreys as speakers. A final plenary looking at lessons for the future has Tom Schuller, Leisha Fullick and Alan Tuckett as speakers. The event costs £100, but there are subsidised free places for people who can’t afford the fee. Adult learning has suffered a series of setbacks in recent years, with major losses of numbers participating in further and community provision and a half of mature students lost from higher education. The aim of the day overall is to draw inspiration from the imaginative initiatives of the 1990s and to foster new energies for a renaissance of commitment to life-long life-wide learning.